Take a look at our news to learn why GlobalLogic is consistently rated a top company and employer. GlobalLogic is organizing the third consecutive automotive conference hosting prominent experts. We proudly present Szczecin as an automotive competence center, and local IT outsourcing companies (ITO) as appealing employers. 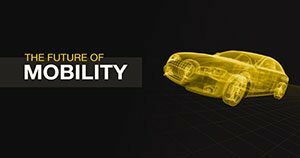 The event is dedicated to Embedded Technology engineers, IT engineers, IT students and automotive enthusiasts. In an exclusive case study, LinkedIn India presents the digital recruitment strategy that helped us acquire niche talent at the right time. This approach integrated marketing and talent acquisition teams to build a strong talent brand with an 85% increase in our LinkedIn page’s follower base from Apr-Sep, 2017. 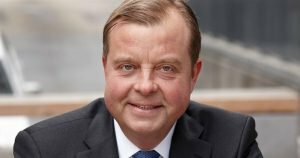 GlobalLogic is excited to announce that Björn Ivroth has joined the company as an advisor to its Board of Directors. In this role, he will work alongside the Board, the CEO, and fellow accomplished leaders contributing to the development and execution of growth strategies driving GlobalLogic’s European business. 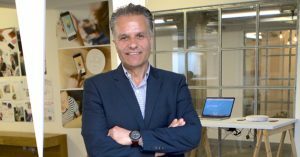 Leverages vidyo.io API for SIs to Rapidly Develop Applications Focusing on Digital Transformation in Telehealth, Unified Communications, and Customer Engagement. Catalina, the market leader in shopper intelligence and personalized digital media that converts shoppers into buyers, today announced it has selected GlobalLogic to help bolster innovation, and accelerate the development and delivery of its robust product pipeline – bringing new data-driven products and digital solutions to market more quickly. 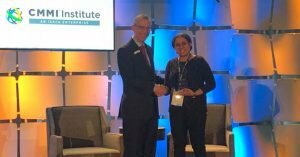 GlobalLogic has been recognized for winning the Capability Challenge 2018 by CMMI Institute, Pennsylvania. The Capability challenge is a competition that showcases thought leaders from around the world who are improving their business performance by building organizational capability. Scott Brubaker has joined GlobalLogic's executive leadership team as Chief Financial Officer, effective immediately. He will oversee the company’s global finance, accounting and legal operations and will report to Chief Executive Officer, Shashank Samant. Charis Christopoulos, PhD, Chief Technology Officer, will participate in a fireside chat with Head of Retailing for Euromonitor, Michelle Grant, discussing how in the new world of IoT, your connected appliances can keep track of and re-order while you sleep, eat, work or play. 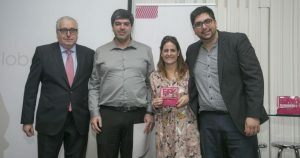 Working closely with the rest of the leadership team, Zaheer Allam will be responsible for GlobalLogic’s customer advocacy programs worldwide and for ensuring client success is at the core of the company’s growth strategy. GlobalLogic was named the winner under the corporate IT award category at the 3rd Annual Global Nagpur Summit 2016, recently held in Nagpur. CIO Review has recognized GlobalLogic as one of its “20 Most Promising PLM Service Providers” for 2016. In this profile piece, Shashank Samant (CEO, GlobalLogic) talks about how digital transformation is evolving the definition of “product." The recognized Polish daily “Rzeczpospolita” and Lower Silesian Chamber of Commerce awarded REC an Export Eagle award in the category of Innovative Export Product. 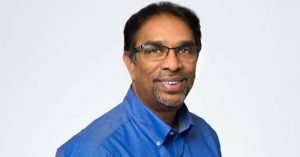 In an exclusive conversation with Dataquest, Rohit Madhok (Vice President – Engineering, GlobalLogic) talks about technology trends, AI and Big Data opportunities, and how GlobalLogic is addressing them. Ihor Kostiv, Director of Engineering, talks to Lviv IT Cluster about the life-saving healthcare projects that are being developed at GlobalLogic’s Lviv engineering center — from cochlear implants to defibrillators to smart devices. The Xen Project is commonly used in embedded scenarios due to its security features, light-weight architecture and open source community. 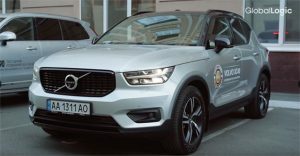 These core attributes are now making it more pervasive in the automotive industry, as explained by GlobalLogic in this article from the Xen Project. Featuring Neeru Mehta, Vice President, HR, GlobalLogic as she shares her thoughts on how to keep women professionals engaged. Autonomous vehicle management and drone pilots could soon be the biggest job opportunities for Indian IT companies. The future of technology is going to be focused on user experience. While many product engineering services firms focus on R&D, the integration of user experience design into R&D processes is a critical factor for success. The focus is on designing and creating a product as seen from the eyes and needs of the customer. 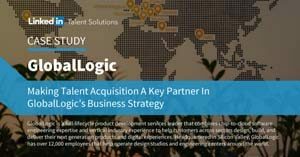 At a time where organizations are struggling with getting the talent and experience necessary to drive their digital agendas, GlobalLogic fills that critical gap, enabling clients to come to market with new, innovative, or even disruptive offerings quickly and economically. 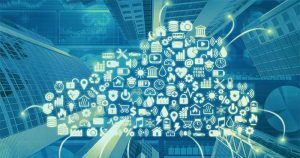 Dr. Jim Walsh (CTO, GlobalLogic) discusses how M2M (machine to machine) and IoT (Internet of Things) will soon affect even businesses that have never seen themselves as being in the software space in this article on CIOReview. 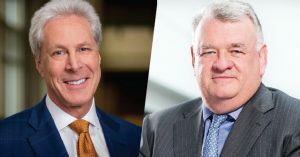 GlobalLogic today announced the appointment of Stephen Oesterle and Normand Legault to its board of directors. 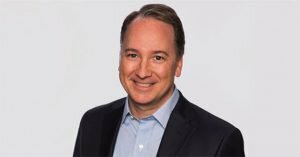 Stephen Oesterle is currently a Venture Partner at New Enterprise Associates (NEA), as well as a senior advisor to EQT Partners and Temasek Holdings. Normand Legault is senior private equity advisor to the CPP Investment Board and the President of GPF1 Inc.
GlobalLogic Ukraine and Winner Imports Ukraine partnered to demonstrate new automotive technologies and digital innovations for the transportation of tomorrow — from computer vision systems that enable vehicles to “see” their surroundings, to intelligent communication systems that enable vehicles to “talk” to each other. 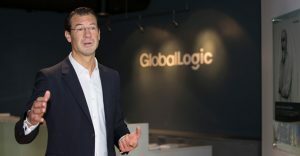 GlobalLogic Inc. announced that Rolf Werner PhD has joined the company as Senior Vice President and Head of Europe. In this newly created position, Dr. Werner will be responsible for accelerating GlobalLogic’s revenue growth and expansion in the European geography. Registration: For more details on the conference and for registration information, please visit: https://www.ces.tech/conference/HighTech-Retailing.aspx.